Sometimes as a wedding planner a couple comes along and reignites your passion for creating beautiful occasions. I have been really lucky to have had a number of these amazing people and it was no different with Elmar and Marika. From the time we met, the conversations were light hearted, fun filled and planning their wedding this year was definitely a highlight on The Wedding Event’s calender. What I loved most was that they trusted me with the planning and helped them make decisions without feeling overwhelmed by the choices. We stuck to our ideas and kept on track with the planning often enjoying a coffee and banter long after our meetings were complete. I loved that they could laugh at and with each other and their ideas were sure to bring about a simply gorgeous wedding day. We set to work looking for a venue which would suit their guests, the style and theme for their wedding and confirmed Greenleaves as the ideal location. Khali and the team from The Wedding Specialist created the most exquisite table settings with floral table runners and a hanging arrangement behind the long main table. 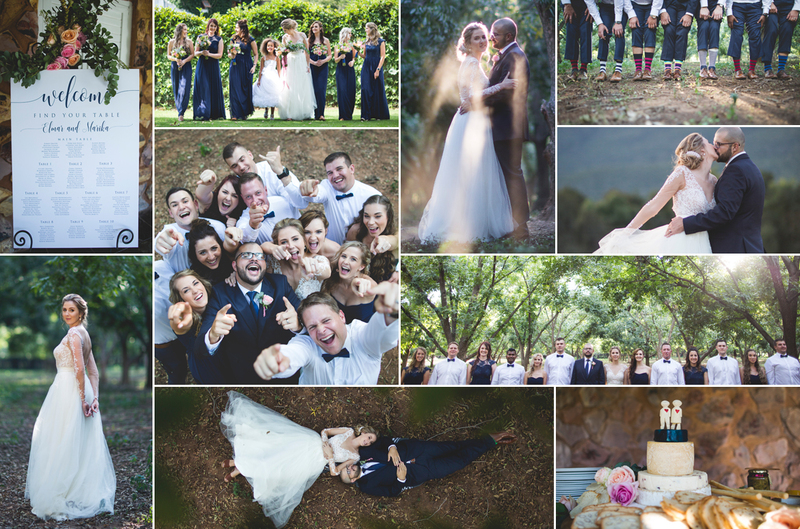 The day arrived with much excitement and Koringkriek captured it all so beautifully – perfect weather, an incredible atmosphere filled with love and laughter and just a fantastic crowd of friends and family gathering to celebrate this couples most memorable day.